How to fix "Compile Error in Hidden Module" error message when opening word/excel files? 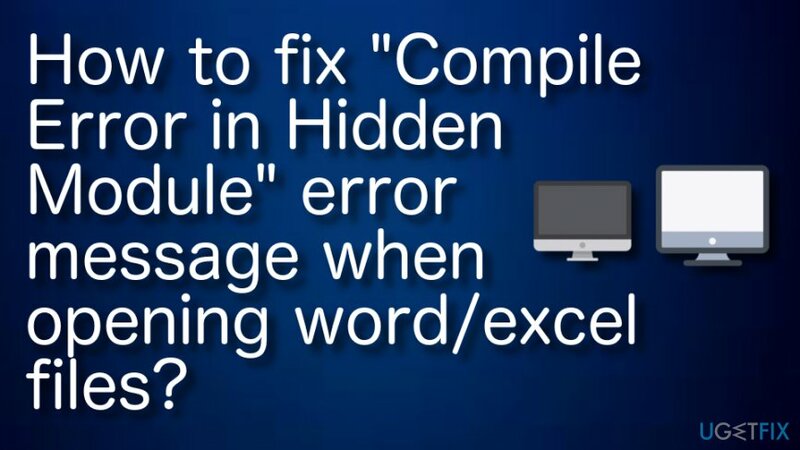 Home »	Fix » How to fix "Compile Error in Hidden Module" error message when opening word/excel files? Issue: How to fix "Compile Error in Hidden Module" error message when opening word/excel files? Hello. When I’m trying to launch Office 2016 for Mac Applications, I receive a message that reads: “Compile error in hidden module”. I don’t know why this has started happening because everything has worked fine a couple of days ago. Could you please comment? Thanks in advance! How to fix “Compile Error in Hidden Module” error message when opening word/excel files? From August 22, 2016, Microsoft has started upgrading Office 2016 for Mac Applications from 32-bit version to 64-bit version. At the time being, all 32-bit versions should be upgraded already. 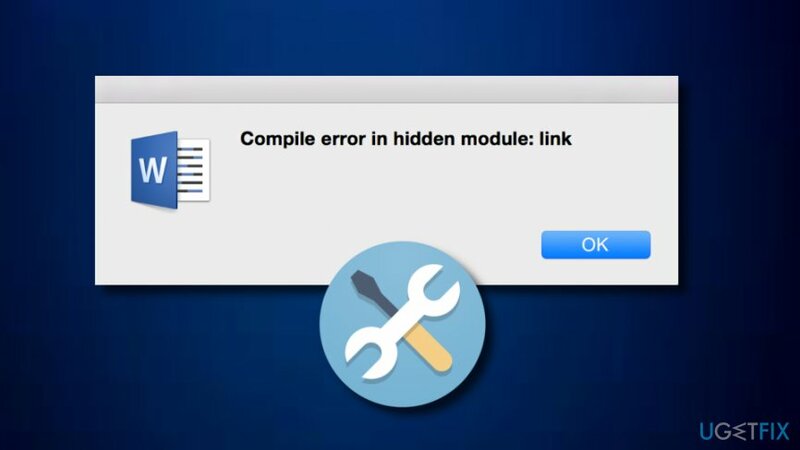 While the majority of Office 2016 for Mac users did not notice any changes, a few of them have reported about an error message saying: “Compile error in hidden module: Link”, which occurred immediately after the upgrade. This issue might happen only if there are some incompatible 32-bit add-ins on the Office. In other words, some add-ins on the Mac OS contain a code, which is incompatible with the current version of the Office 2016 for Mac. To check that, you should open any of the Office 2016 for Mac application and look for the buttons of add-ins colored in grey. Besides, you may notice that the add-on buttons are completely missing from the ribbon. In case your Office 2016 for Mac has been successfully upgraded to the 64-bit version, but some of the 32-bit add-ons were left installed, there is the only way to fix “Compile error in hidden module: Link” error – to disable incompatible add-ins. Open Office 2016 for Mac application and turn off the add-ins. Once done, got to Tools and open Templates and Add-ins. All available add-ins will be displayed in the Global Templates and Add-ins list. To turn off the ones that are incompatible with the upgraded 64-bit version of Office 2016 for Mac, press + or – option. Once done, click OK and restart the app. Close your Microsoft Word app. Open this folder: ~/Library/Group Containers/UBF8T346G9.Office/User Content/Word. In the Word folder, you will see the dotm file. Drag this file to your desktop. Refresh the Microsoft Word app. To download the latest version of the add-in for Adobe Acrobat 5.0, go to the official Adobe’s website and perform the installation manually. Go to the Office or Excel Startup folder and check if Pdfmaker.dot and Pdfmaker.xla files are listed there. In case one both of these files are located in this folder, our recommendation would be to transfer it/them to My Documents Folder. 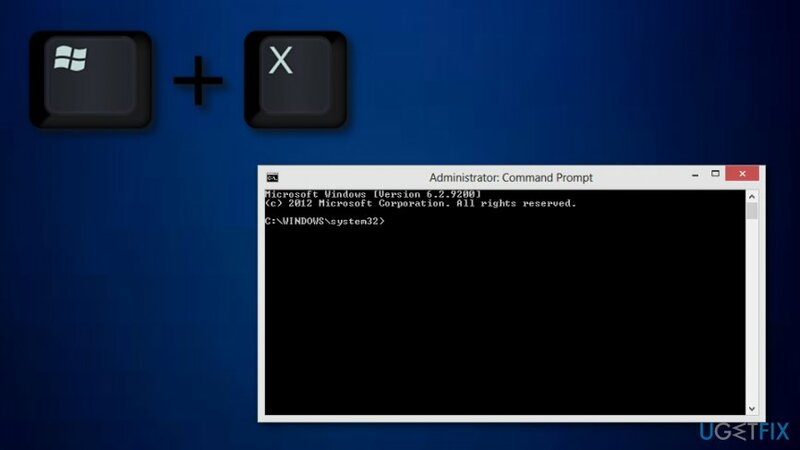 Press Windows key + X together. Go to the Windows search section and type in “Command Prompt”. Select to Run as Administrator. 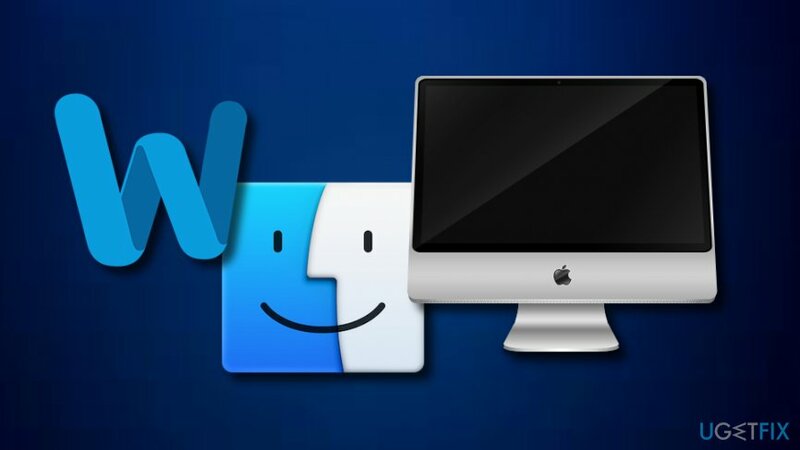 Last, but not least, once the “Compile error in hidden module” error fix is finished, both Mac and Windows OS users are strongly recommended to initiate a thorough system scan with an optimization and anti-malware tool such as Reimage. ^ Erik M Gelblicht. What is the Windows operating system?. Quora.com. Questions and answers. ^ Forrest Stroud. Anti-malware. Webopedia. Computer terms and IT definitions. Kaip pašalinti "Compile Error in Hidden Module" klaidos pranešimą, kuris atsiranda bandant atverti word/excel formato failus?